3.0CSi Reborn! 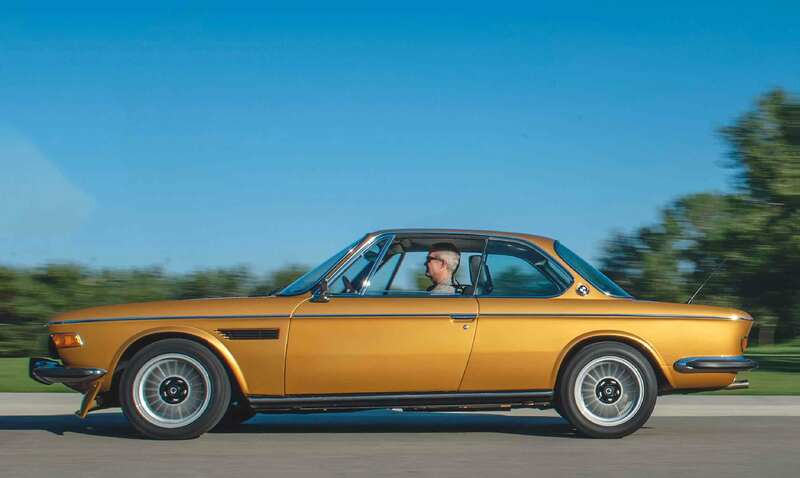 We sample a reader's superbly-restored, classic E9 coupé. Me and my car Labour of love. 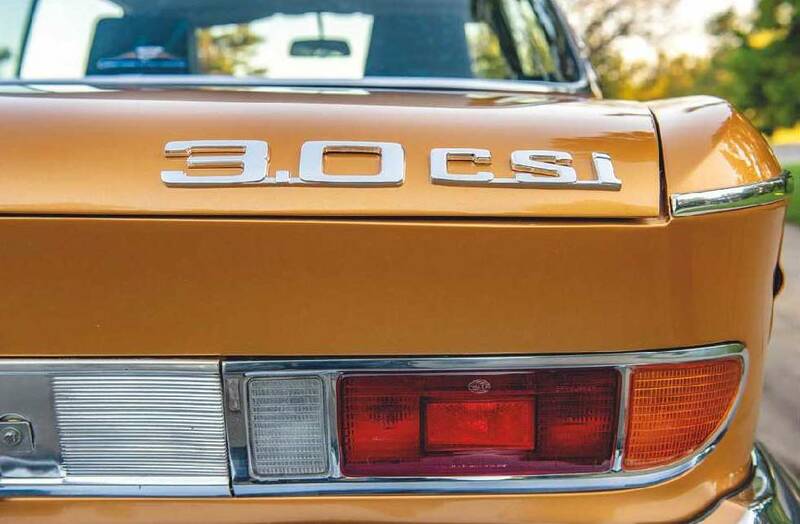 Jeffrey Mohler’s 3.0 CSi Coupé is a car that’s been restored with surgical precision, as Garry Melnyk discovers. Photography: Rob Hislop. I was 15 years old the first time I saw a 3.0 CSi Coupé in the flesh. That beautiful car was at a dealership in my city, that sold Mazdas and BMWs. The showroom also had a 2002 sitting beside the coupé, but there was something about the coupé – painted in a hazy grey with grey cloth interior – that kept me standing there for a long time. Canadian emergency physician Dr Jeffrey Mohler was also a teenager when he looked at the picture of a 3.0CSi one day. The car really appealed to him, too; so much so that he vowed to buy one someday. Unfortunately, he never got to see one on the streets of Edmonton, where he grew up. In fact, it took more than 20 years before Jeffrey got to see his first E9 coupé in the flesh, as various life pursuits and education had to come first. There was a lot of education, as he wanted to become a physician and, eventually, to specialise in emergency medicine. The striking, gold coupé you see here is the result of his quest to find a car, which began several years ago. Dr Mohler’s dedicated work in a busy, inner-city emergency department, sees him fixing broken bodies on a regular basis, so there’s a kind of logic to him doing the same with cars. In his adult years, he and his father would spend their spare time fixing broken cars; all sorts of BMW models. Some didn’t require a lot of attention, like the rare, first generation M5 that makes up part of Jeffrey’s small collection today. Jeffrey’s search for a CSi began in 2008 and, while trawling through the adverts on eBay, he discovered a car that was with an American seller and, judging from the photographs, appeared to be rustfree. But, as we all know, photos don’t always tell the complete story, so a BMW dealership not far from where the seller was located, was engaged to examine every inch of the car. Thankfully, this careful inspection confirmed that Jeffrey’s potential project was, indeed, in decent shape and, based on this, he decided to go ahead and put his money down. The first job was to get the car shipped up to his home in western Canada. Once it arrived and Jeffrey was able to get ‘hands-on’ with the coupé for the first time, he was relieved to find everything much as he had been led to believe, although he remained more concerned about the mechanical side of things, than the bodywork. The car did run and so Jeffrey was able to drive it for a time. Then he came across a 528 in another city, from which he was able to harvest a good condition, five-speed transmission to use in his new vehicle. However, the plan to link this transmission to the coupé’s engine highlighted the first stumbling block; in fact, it brought everything to a complete halt. The engine was removed from the car and sent off to a workshop for a complete rebuild. A replacement cylinder head was located and fitted, and the rest of the motor was rebuilt as a standard unit. With that side of the project completed, the engine was returned to Jeffrey so that he could drop it back into the car, and move forward with the rest of the work in his garage. All went well, although there was one frustrating, engine-related issue that took a long time to diagnose. While at the workshop, the fuel injectors had been removed as part of the engine rebuild process, and cleaned with water. Unfortunately, they hadn’t been dried properly after this, and were simply put to one side to await re-fitting in due course. As a consequence of the remaining moisture, two of the injectors suffered with an internal rust build-up that was sufficient to restrict fuel flow, with the result that the engine coughed and spluttered badly upon start-up. However, once that fault had been traced and dealt with, the engine came to life, and ran beautifully. Although the engine hasn’t been tested on a dyno since the rebuild was completed, Jeffrey is confident that, thanks to the use of modern-day techniques and new components, the straight-six will now be producing more than 200 horsepower. The five-speed manual transmission – pulled from the donor 528 – was then prepped for the revitalised engine and, at the rear, Jeffrey decided to install a limitedslip differential. A balanced and shortened driveshaft was also purchased from a supplier in Portland, Oregon. The engine bay was stripped of all parts and repainted. “My father replicated the original wiring harness, as the original wires had become brittle. He worked for many years as an electrician, but also has some mechanical skills, so that combination was very handy at that stage of this project (and other BMWs that we have worked on together in the past). As renovation progressed, Jeffrey put some work into the suspension, upgrading sway bars and fitting a strut brace, both sourced from Ireland Engineering, in California. The suspension was lowered with new springs – heavy-duty Bilsteins all around – and front camber plates were fitted at the front. The ride and handling levels were enhanced further thanks to a set of Bridgestone Potenza 195 series tyres at the front, and 215 series rubber at the back. All are fitted to period-correct Alpina wheels. As a result, the coupé now presents a great stance, with the reduced ride height adding considerably to the overall look and road presence of the car. Inside, a detailed make-over of the whole interior was undertaken, and no expense was spared. The original instrument gauges were sent to California, and refinished to include LED lighting. The clock was swapped for a rather more useful, combined voltmeter/oil pressure gauge. Also, the veneers were refinished, and Jeffrey opted to remove the centre speaker from the top of the instrument panel. The finished result looks a little less cluttered, yet still has an original, factory-like appearance. New sport seats from Germany (Scheel-Mann Traveler 2 seats, from Greiner), were installed with the original seats put away into storage. Four hides of quality leather were used to re-trim all seats, as well as the door sides, and the hides alone cost a hefty $12,000. 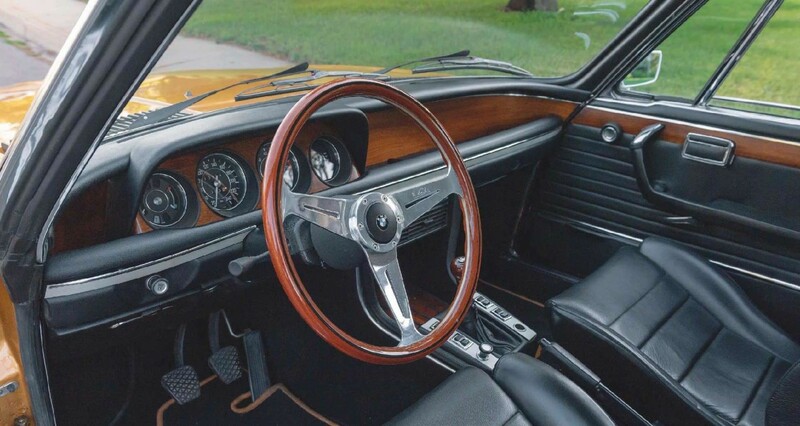 The dash pad was also recovered, and a Nardi wood steering wheel was fitted to add the finishing touch to the whole interior look. In 2009, Jeffrey decided it was time to start work on the car’s body, to properly assess the metalwork and make repairs where necessary. Time and geography had been kind to the coupé’s panelwork. The body was still stiff with no major rust, but Jeffrey found extensive use of filler in both rear quarter panels. So each was cut out and replaced with new ones from Germany. 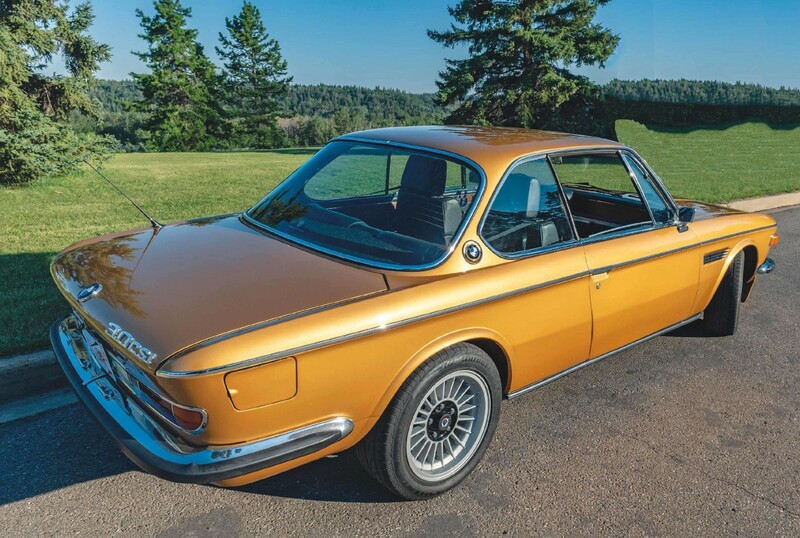 A bodyshop in Edmonton did all the work, and sprayed the car in Ceylon metallic, which was a colour popular in the early 1970s on some BMW models. All exterior trim pieces and badges are new, with the exception of the trim on the right rear quarter. “Anything new I could find was put on the vehicle,” Jeffrey said. This included new rubber seals for the doors, windows and the boot. The front chin spoiler was added later. The total cost of body renovation and paint – the work being spread over an eight-month period – $30,000. The end result is a body straight and smooth, with not a piece of chrome out of place. As much as I’d like to get behind the wheel and experience this shiny, two-door beauty, I’m enjoying it even more just looking it over on a very warm summer evening, with the sun slowly setting in the west. Under the bonnet, the business there is neat and tidy with not a spot of grease or oil to be found. Jeffrey told me that when he does wash the engine compartment, he always uses a hair dryer afterwards, to ensure that no water’s left anywhere that could, over time, lead to rust. The engine itself idles beautifully and, once underway, produces a satisfying thrum from the exhaust. The interior looks very correct for the period, despite the upgraded seats, which look comfortable and supportive for anyone who wants to sit upright as they hustle this car through the curves. Chrome trim and the beautiful wood veneer break up the darkness of the black upholstery and the whole effect works really well, as far as I’m concerned. On the outside, the chrome trim strips on each side of the body are absolutely straight and shiny, and all the other bright bits and emblems are just as shiny, with nothing askew. 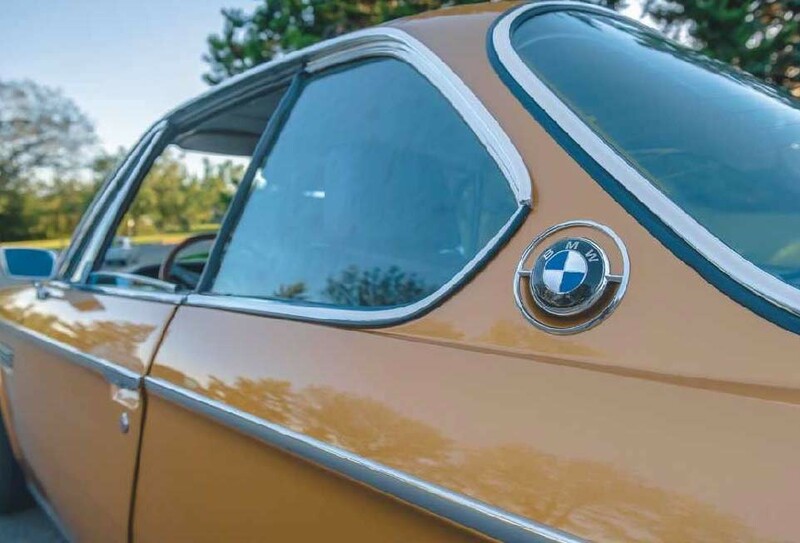 The tasteful use of these trim pieces, including the BMW emblem in the delicate, circular ring of chrome on the rear pillars, really highlight the down curve at the rear of the roof. At the back of the car, the boot is so neat and tidy you don’t want to put anything back there! Members of the public who happen to pass by as we’re taking the photographs, comment on the car and congratulate Jeffrey on a job well done when he explains what’s happened to the car. Heads turn; people stop in their tracks. The bright, eyecatching nature of the Ceylon paint is a rarity nowadays, so can’t fail to attract attention. It’s no wonder that people stare, although plenty don’t know the model or its age. The CSi, back in the day, was a real looker, and I think that Jeffrey has really enhanced that inherent appeal with his choice of paint colour, and the use of beautiful, Alpina wheels. The lowered suspension also plays a part, giving the coupé an even more sporty look and stance, while remaining subtle at the same time. The paint finish really is first class and, however hard I look for flaws, I can’t find a single blemish. Every part of the car, no matter where you look, top or bottom, has been finished perfectly, which is a real credit to the craftsmen who worked their magic on this car. 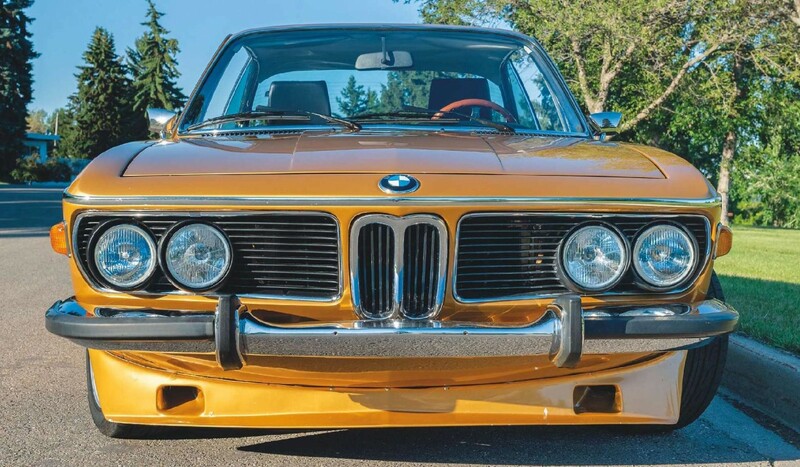 Jeffrey’s car has really whetted my appetite for the model, but I know they’re very hard to find here in Canada; sadly very few from the early 1970s have survived the rigours of regular use the winter weather. The coupé now has 10,500km on the new engine and, these days, is only brought out of the garage on nice summer days. “I get to drive it for maybe five months of the year,” Jeffrey explains with a smile, “but, for the rest of the time, it remains in storage indoors.” Jeffrey’s enthusiasm is infectious, as is his evident affection for the CSi. Its restoration was certainly a labour of love and, although the first generation M5 he also owns is worth more than the coupé, he invested a lot of labour in the car and appreciates the thumbs up he gets from others. Below left: The seats were all re-trimmed in black leather; the four hides needed for this cost $12,000! Below right: The original gauges were refurbished in California, and fitted with LED lighting. The clock was swapped for a rather more useful, combined voltmeter/oil pressure gauge. 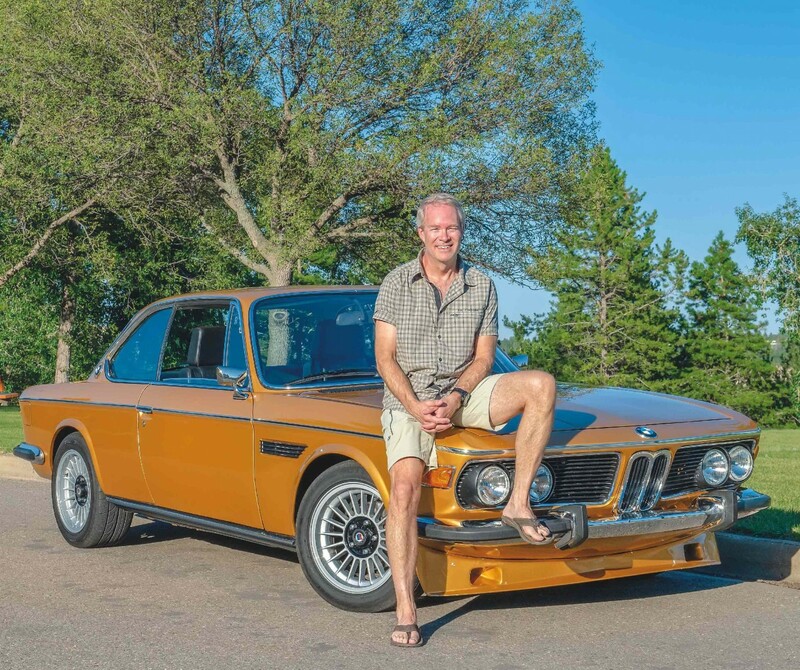 Jeffrey has really enhanced that inherent appeal of his CSi with his choice of Ceylon metallic paint, and the use of beautiful, Alpina wheels. 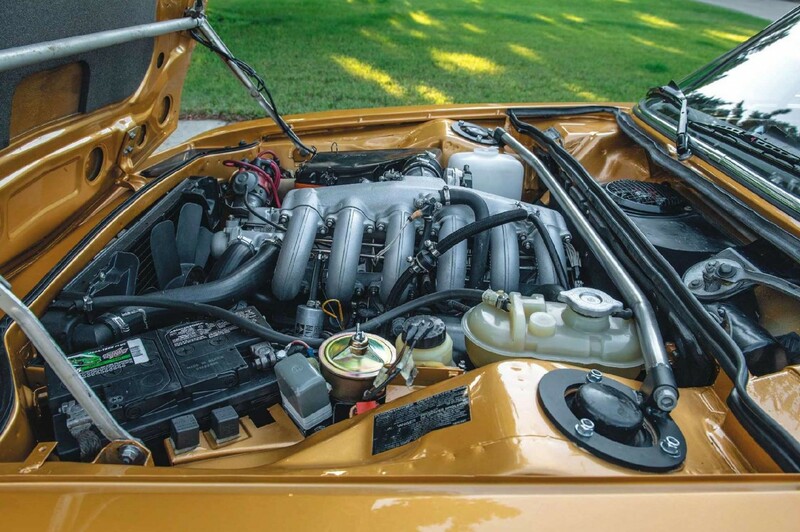 The straight-six, 2,986cc M30 engine has been completely rebuilt, but left standard. However, the car now benefits from a five-speed gearbox. This car displays a body that’s straight and smooth, with not a piece of chrome out of place. The total cost of the body renovation and paint on this car was $30,000.